Our picturesque Royal Deeside and the Cairngorms area is the perfect place for hosting the two week Food and Fiddle Festival taking place from the 3 to the 19 October 2014. It will celebrate our finest food and traditional music as well as highlighting the area's rich cultural heritage through a series of events running across the region. Visitors can hear world-class musicianship and enjoy award-winning delicacies during family friendly events. These include renowned Scots fiddler Paul Anderson and Ian Murray on a guided ramble through the spectacular countryside on October 18, punctuating the walk with bursts of traditional Scottish music before ending with a meal at the Station Restaurant. Elsewhere, star of BBC's The Voice, Fiona Kelly, will appear at Banchory Lodge Hotel on October 5, and the New Distillery Ceilidh Band will host an evening in Tarland's MacRobert Hall on October 18. Braemar Castle will host a craft gin tasting in association with the Deeside Drinks Emporium on October 10, which will be soundtracked by a number of top local folk musicians. Local music will also be prevalent at Finzean Farm Shop's three course buffet supper on October 9, which will prominently feature local venison. Buchanan's Bistro will also host a number of events which marry food with traditional music throughout the festival. 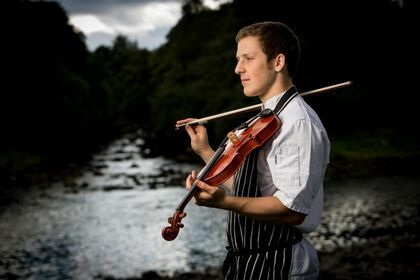 Even more food and music events will take place through the entirety of the Food and Fiddle Fortnight, while the more adventurous visitor can partake in a Land Rover Safari through Glentanar Estate on October 19. Throughout the festival visitors will also be able to "meet the makers" and learn how local arts, crafts and foods are made, sample the area's most mouth-watering local produce and enjoy a Sunday lunch with some traditional North East music.